Who do I contact with questions about Financial Aid? For questions on processing your financial aid, please contact Lindsay Janssen on the Aurora campus at 630-844-4916 or ljanssen@aurora.edu. You also may contact the Office of Financial Aid on the Aurora campus at 630-844-6190 or finaid@aurora.edu. 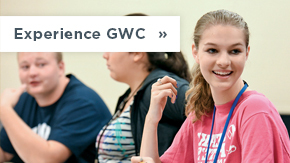 Academic scholarships: Upon admission to GWC, you will automatically be considered for an academic scholarship. We carefully consider the academic credentials of each candidate. Need-based Aid: Eligibility for federal, state, and institutional need-based grants, loans and student employment is determined after submitting the Free Application for Federal Student Aid (FAFSA). Need-based assistance is determined on the basis of "financial need," which is defined as the difference between family resources and educational costs. Final consideration for all financial aid occurs only after your admission to George Williams College has been confirmed, and we have received your processed FAFSA. What is GWC’s Federal School Code? 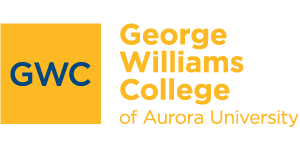 George Williams College operates under Aurora University’s federal school code, which is 001634. You will need this number when filling out your FAFSA. 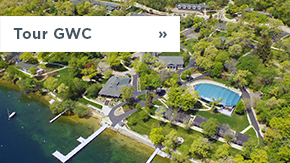 By listing the GWC/AU code, we will receive your application electronically. It is suggested that forms be completed as early as possible for top consideration for financial aid. Please submit the FAFSA for the upcoming academic year as soon as possible after it becomes available on October 1 for maximum consideration of federal, state and institutional aid. No. Complete the FAFSA as soon as you can. 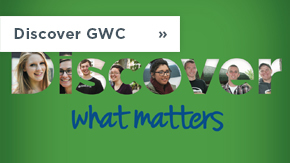 The financial aid staff will keep your application on file until they receive notice that you have been accepted to GWC. Allow approximately two weeks for the federal processing of your FAFSA. Once the financial aid staff receives this information, a financial aid package will be determined unless further information is required. The amount of time between receipt of application and determination of aid varies, but it is generally within two weeks. For returning students, we begin processing award letters no later than February. The Federal Processing Center randomly selects applications for verification. You can tell if your application has been selected by reading the comment section on your Student Aid Report (SAR). Your financial aid counselor may also select your application for verification – this is called institutional verification. Visit IRS.gov and click on "Get Transcript of Your Records" to view and print transcripts immediately. Submit your request in person at an IRS Taxpayer Assistance Center. To search for the Taxpayer Assistance Center closest to you, please click here. Loss of a job or benefits, death in the family, divorce or separation, or extreme medical bills are examples of special circumstances that can change your financial aid eligibility. Please complete and submit the Special Circumstance Request form (PDF) if you would like the Office of Financial Aid to review your situation. Completed forms may be faxed to 630-844-6191 or scanned and emailed to finaid@aurora.edu.